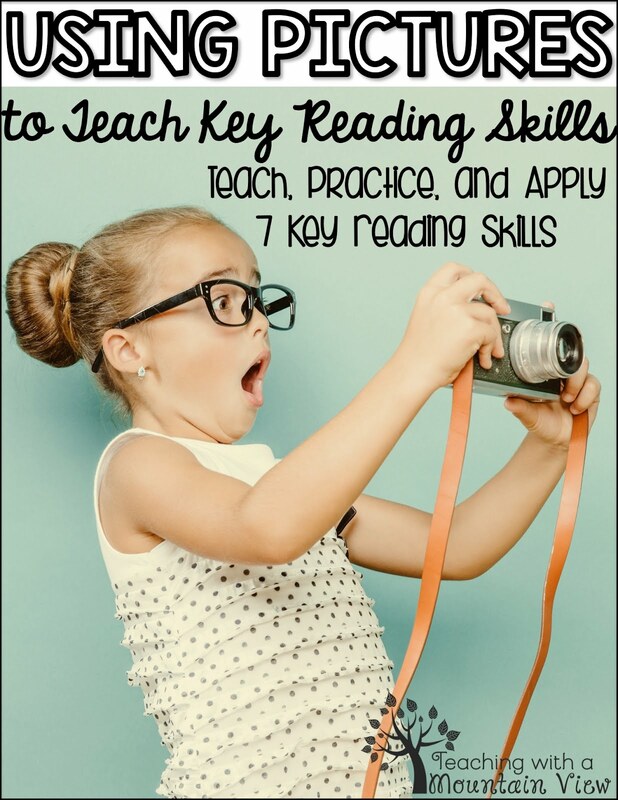 We have all heard about the shift that happens, usually between second and third grade, when students (should) go from learning to read to reading to learn. Unfortunately, for some students, their ability to read to learn is stifled by their inability to read fluently. 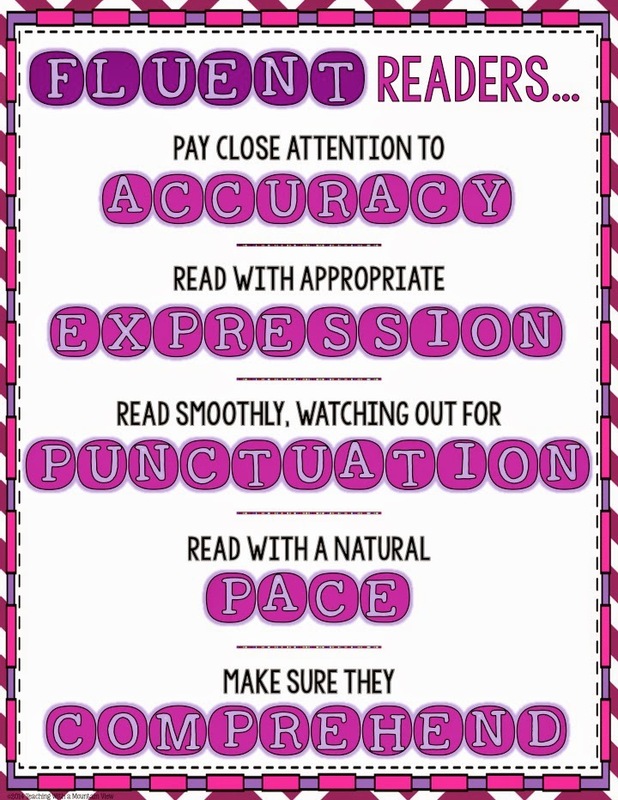 Even for those kids who can read at an average pace, the faster and more accurately they can read and decode, the more effectively they can comprehend. 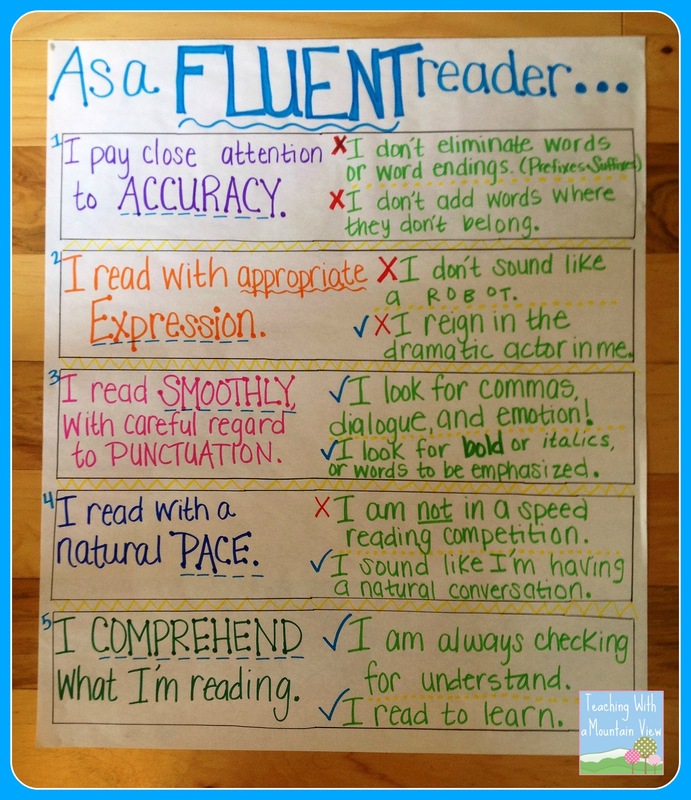 When I taught third grade, and now as an interventionist, the importance of fluency is empathized more than ever (and has definitely met some critics). 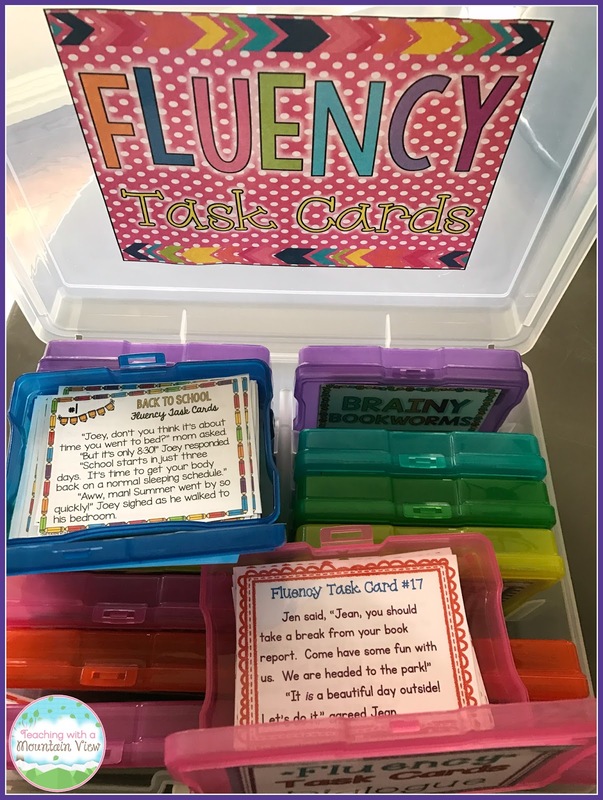 I know that fluency is NOT the end-all, be-all, but a lot of research proves that it is important, and a lot of schools are trending toward fluency being a high priority. I have compiled a list of some of the resources and strategies I have used when teaching in the regular education classroom and as an interventionist. I hope they can help you in some way. 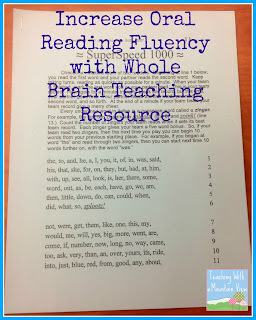 This isn’t a blog post about what fluency IS, but about ways to improve it. 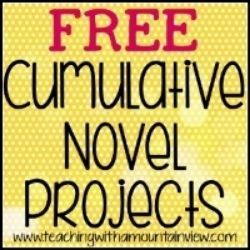 Some of the ideas are FREE, and a few of them are links to specific paid resources that I have tested in my classroom. I get nothing in return for posting about these (my Mountain View state—Colorado—doesn’t allow Amazon Affiliates), so they are simply products that I have used and believe in. 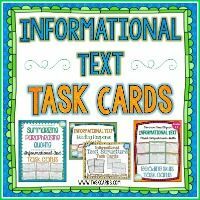 Update: I now have a FREE download that includes the above anchor chart! Download it for FREE HERE! 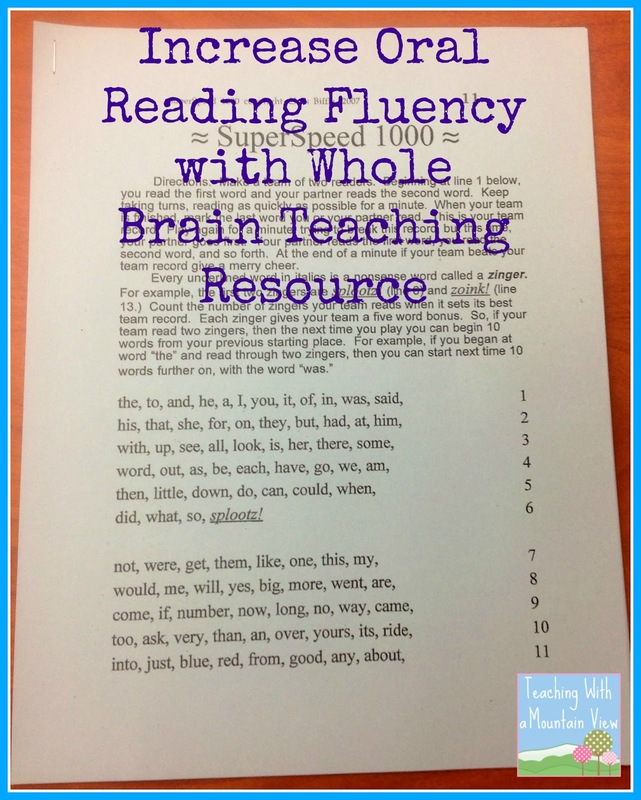 Have you discovered the Super Speed games from Whole Brain Teaching? 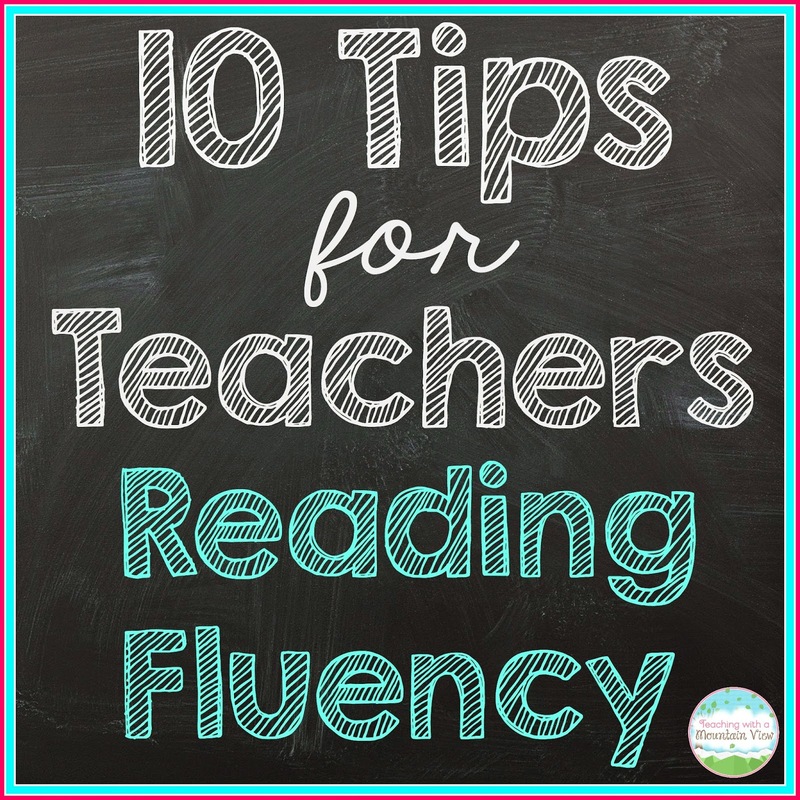 They have them for a variety of different fluency (math and reading) skills, but the one I love for reading fluency is Super Speed 1,000. It’s a free download, and it’s AMAZING! The kids practice the 1,000 most common sight words in a lightning fast game that takes three minutes a day once the students understand how to play. I will warn you—this can get loud, and loud is uncomfortable for me! I like a serenely peaceful classroom…I had an administrator walk in one day during Super Speed time, and I felt that pit in my stomach—it was so loud, she would think I wasn’t managing my classroom. As she walked around and saw the enthusiasm of these kids reading their sight words, she praised the program and then shared the link with the staff at the next weekly meeting. I have used Super Speed for second through fifth graders, in every setting you can imagine. I highly recommend it! Audacity is a free voice recording software you can download onto just about any computer (You could use any voice recording software for this). 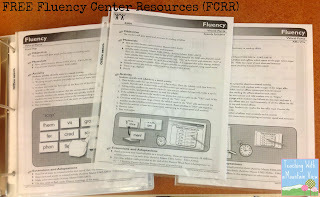 Every week, one of our fluency centers is Audacity. The students practice a passage out of their current novel three times. Then, they record themselves reading it out loud on Audacity. They listen back, while reading the page in their head. Then, they take notes on what they noticed about their reading (How was their prosody? Attention to punctuation? Did the dialogue sound authentic?). They find 2 glows and a grow, and then on their next read, they focus on their “grow” area. They record it again and listen back. The process continues until they are ready to submit it to me. This year, I have them save it to a public folder that I can access, but in years past, they have posted it to a classroom wiki to keep track of their growth—and parents can log in and listen to their reading from the wiki, too. Poetry is one of my favorite fluency practices, and the students always feel the same way! 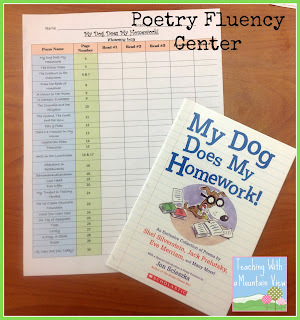 There are so many wonderful ideas out there about how to use poems to boost fluency, so I won’t delve into that too much. Rather, I’ll share how we keep track of our poems. At a garage sale a few years ago, I picked up a class set of My Dog Does My Homework, an anthology of fun kid poems. I can’t find a place to buy it, but you could do the same activity with any anthology of poems or a website like www.poetry4kids.com . Each students has a copy of the anthology and the goal is to read through the book—five times. 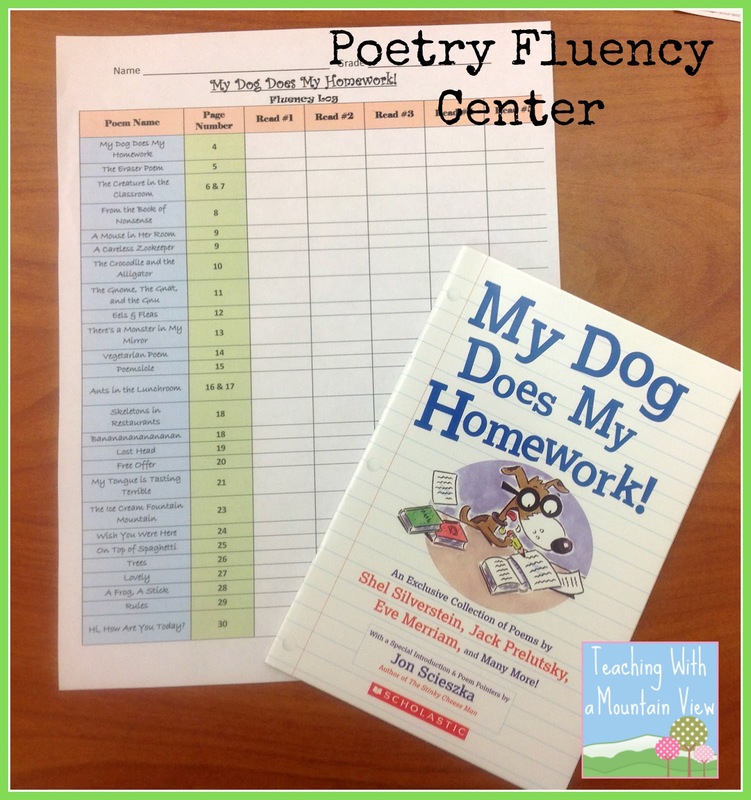 We focus on one or two poems each week, where I model great fluency, then we do some choral reading as a class, then they work on them during their literacy stations. As they read the poems (in any order they want to), they mark down the date that they read it. They can read the same poem five times in one day, or they can read five different poems on one day. Okay, I know I keep saying things like, “this is my favorite” or “it’s amazing,” but this one is a favorite and amazing and fun and engaging and etc. etc. etc. These are books that are similar to a Reader’s Theatre, but they are shorter, rhymed and rhythmic, giving each student a part to read, and then a common part that they must read together. 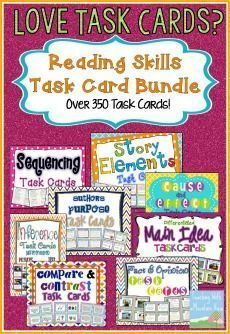 Again, a favorite when I put them into a reading fluency station, and really not a bad price. There are five of them, and they will last you an entire year. You can get them on HERE on Amazon for $6 each (affiliate link). So worth it! 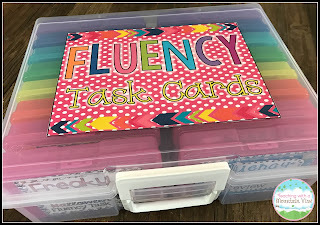 During my intervention groups in 3rd and 4th grade, I discovered a great need for fluency practice that was more than just words or phrases and less than paragraph passages (although both are absolutely important). 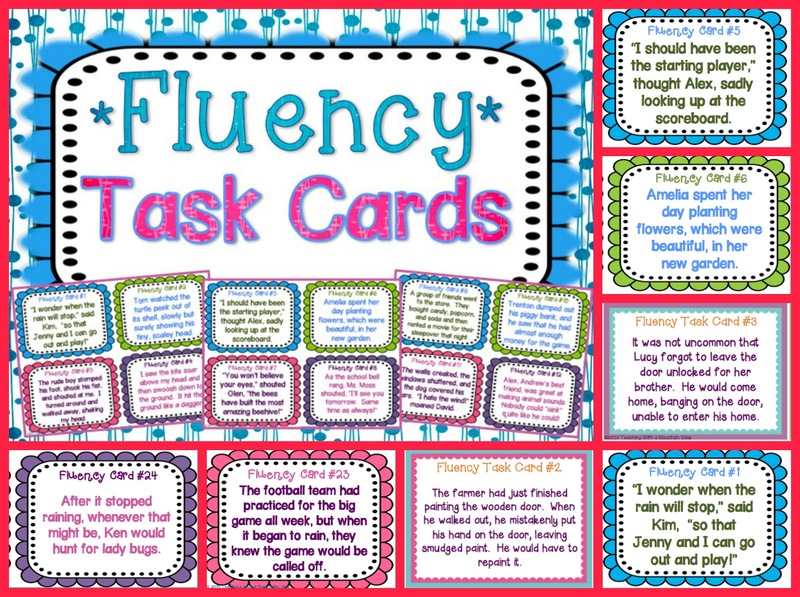 So, I began creating fluency task cards. They include short (2-3 sentences) statements for students to focus on fluency. The first set I made is a general set—includes reading dialogue, appositives, punctuation, etc. 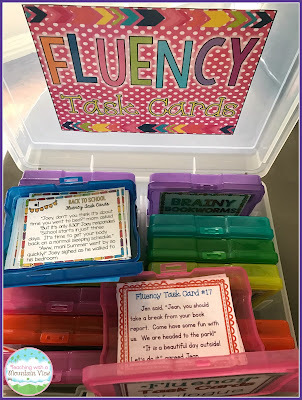 The second set I made focuses on prefixes and suffixes (once kids can unlock the “code” of prefixes and suffixes, they make oral reading fluency growth rapidly). 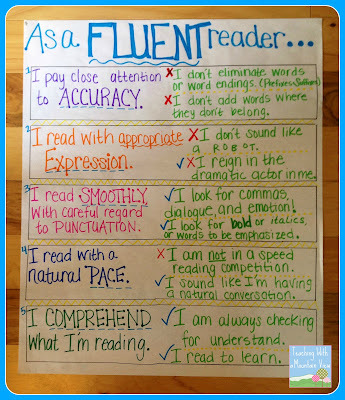 The students beg to do these in small group, and they even love to rate their fluency each time they read them. 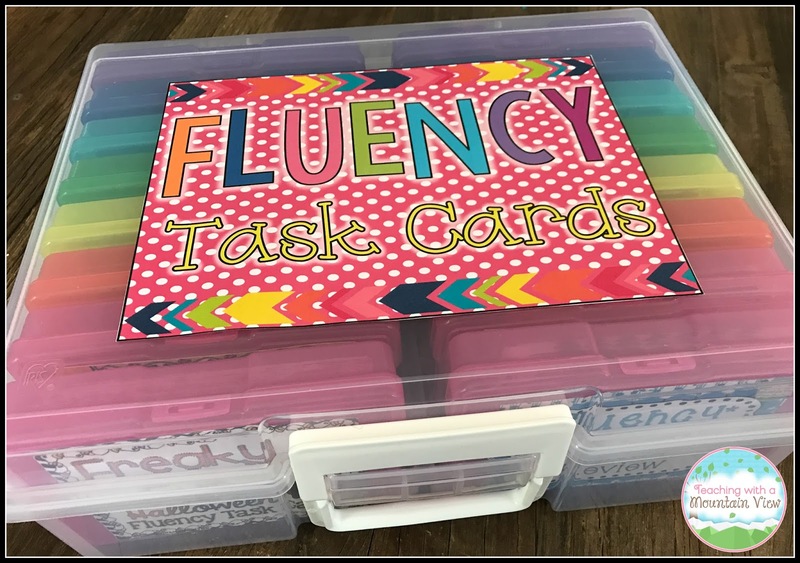 Update 7/24/17: Ever since I created these fluency task cards back in 2012, I have continued to create them. My students love them SO much. 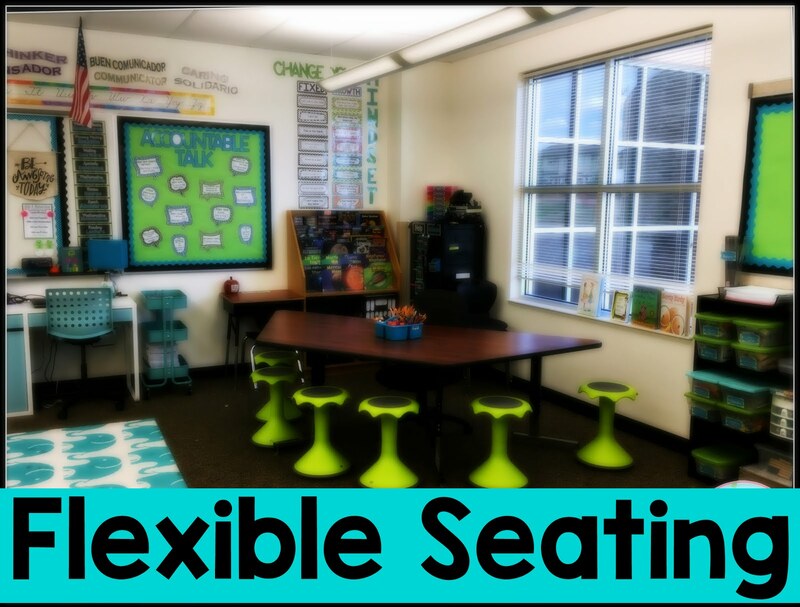 I have used them in both an intervention setting and a classroom setting, and I can't ever imagine having a classroom without them! 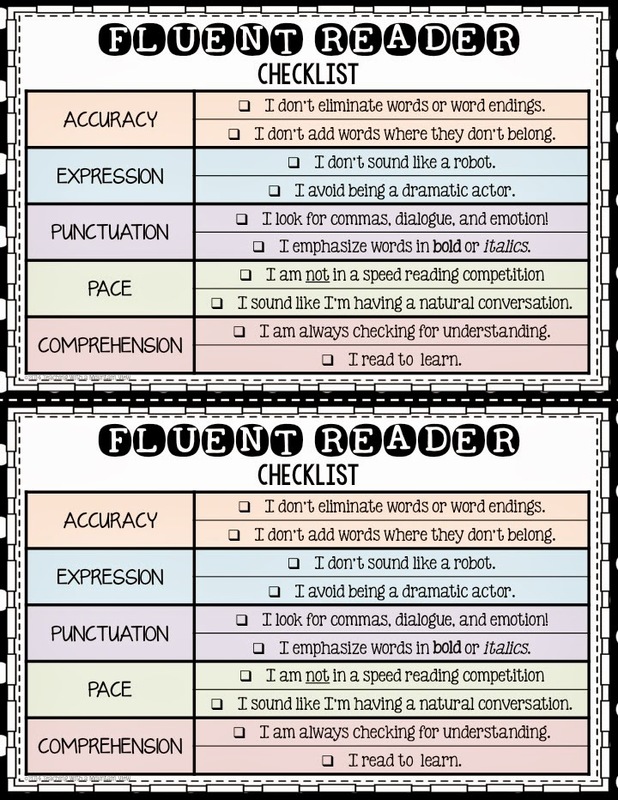 I use them in centers, for a quick practice, for homework, for early finishers, for morning work, etc. I now have a seasonal set for every month of the school year as well as sets for different reading skills. 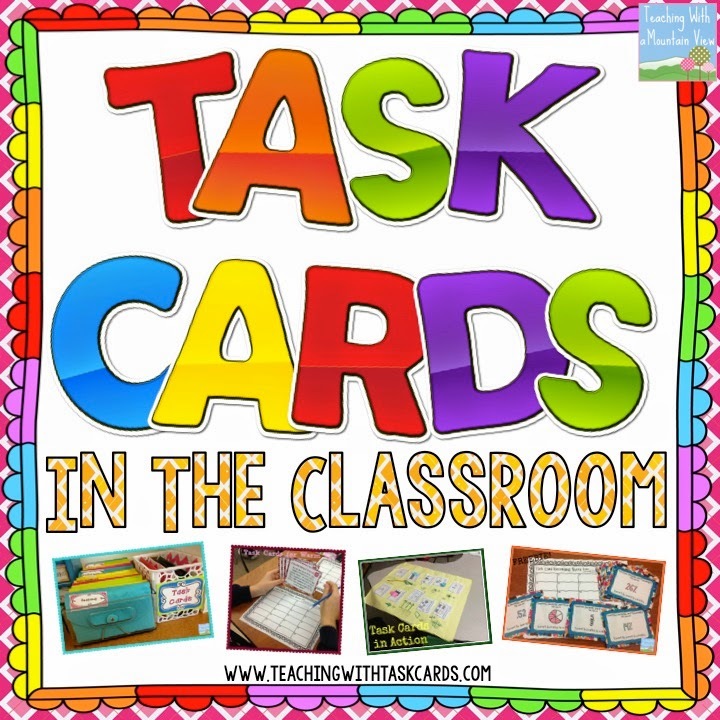 You can read more about how I ORGANIZE these task cards HERE. 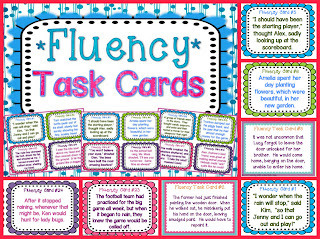 Click here to see all of my Fluency Task Cards! Six Minute Solution is a program to help students improve their reading fluency in 6 minutes a day. It’s expensive, but it works. This program really focuses on reading rate, as opposed to prosody, but I have seen immense benefit. The premise is this: the students read a leveled passage for one minute, three times daily. They have a partner who reads along with them, recording errors and stopping points. The partner also reads three times (they flip flop who is reading each turn), hence the 6 minutes. In reality, it takes about 8-10 minutes to have them read and mark their graphs, so I typically only did it three days a week. 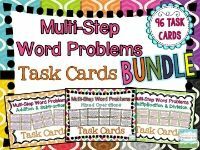 If you can’t afford the Six Minute Solution, there are a lot of leveled CBMs on TpT that are more affordable (Think: Jen Jones at Hello Literacy). Whip up some graphs so that students can track their progress, them implement it. Here is what I have adapted implementation to look like… this is NOT exactly what the Solution prescribes, but it is what worked for me in a whole-class setting. 1 Minute: One partner reads orally while the other partner reads along silently and marks mistakes and stopping point. After the one minute mark, the reader marks the rate on the graph. 1 Minute: Second partner reads orally while the other partner reads along silently and marks mistakes and stopping point. Mark rate on graph. I love the FCRR! 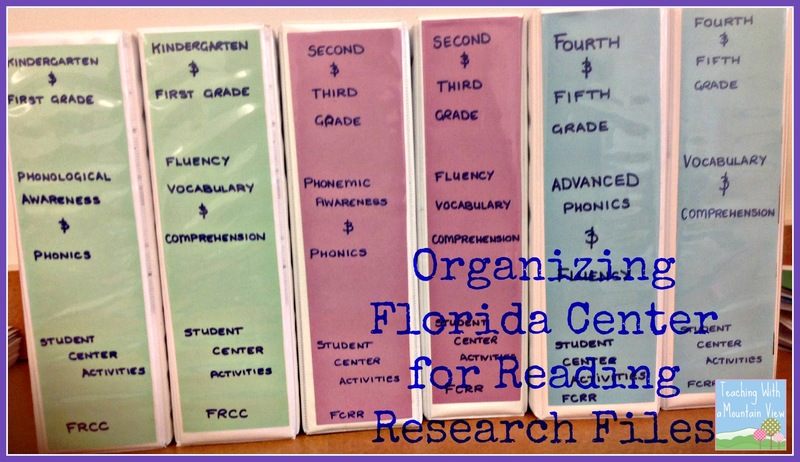 Free, research-based, easy prep, and easy for differentiation—there are also many resources that are perfect for tier 1 and tier 2 reading intervention groups. 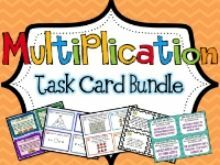 At the beginning of the year, I was using second & third grade materials for my fourth graders in intervention and for my third graders in TAG. 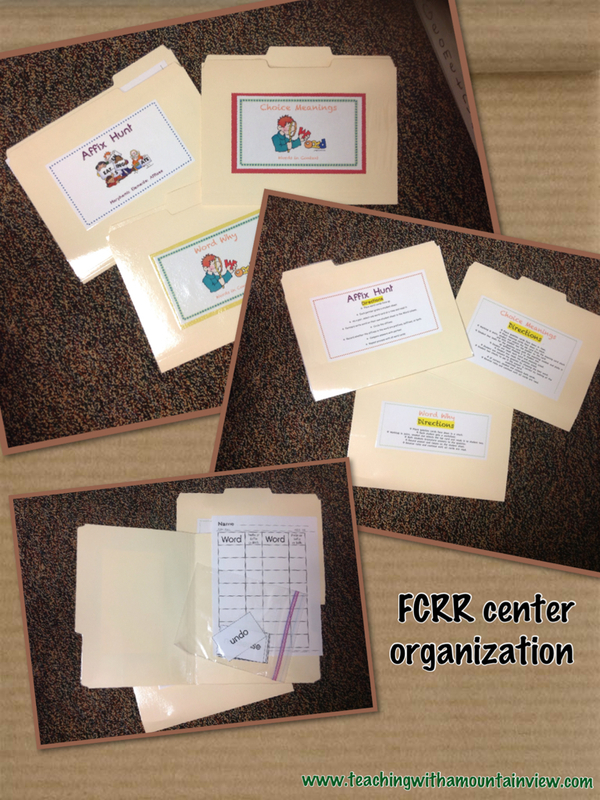 As an interventionist, I created binders full of all the resources so that teachers could easily grab them and copy them as needed. I was shocked at how many teachers had never heard of the site, and I am so glad these binders (which admittedly took hours to put together) have gotten a great deal of use out of them! 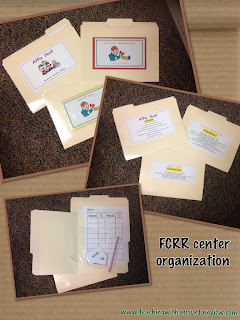 We organized all of the files into binders by grade level. Within the binders, each activity and all its corresponding copies were placed into one sheet protector. When a teacher needs to make copies of an activity, she places a clothespin with her name on where it belongs, grabs the whole sheet protector full of goodies, makes copies, then brings it back. 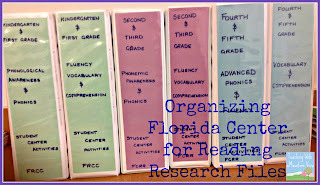 Here is a look at how I organize all of my FCRR centers for whole-class use. I typed up a title and directions for each one and clued them onto folders. I mounted the titles on colored paper that corresponded with their level--red was K-1, yellow was 2-3, green is 4-5. The great thing about their resources is that they seem to have strands--similar activities differentiated by grade levels. Inside the folders are all the materials the students need, and a laminated original to make copies of for student worksheets. I love this system! Need I say more? I feel like so much has been said about Reader’s Theatre in the teaching world that I would be remiss to not mention it, but I also feel like I don’t have anything truly new and revolutionary to add to it. If you haven't used Reader's Theatre, do it! 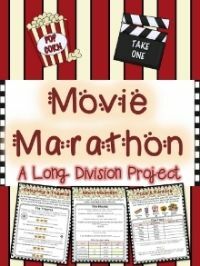 It is THE perfect end of the year activity! In the intermediate grades, morning meeting looks a little bit different than in the primary grades. Our morning messages are different, our greetings are different, our activities are different. One activity I implemented was book talks. Every students signed up one a week (give or take) to do a one minute book talk and to read a one minute passage out of the book. They practiced it at home and then presented in the classroom. If a student was reading an exceptionally long book, they might end up presenting on it two or three times, which was fine. 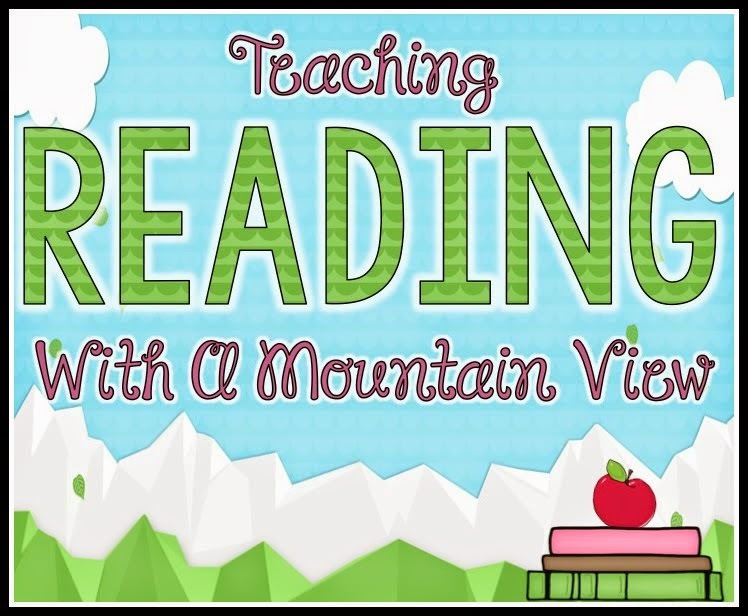 My kids really loved this, and it encouraged them to always have a book they were reading outside of the classroom! Well, that’s it! 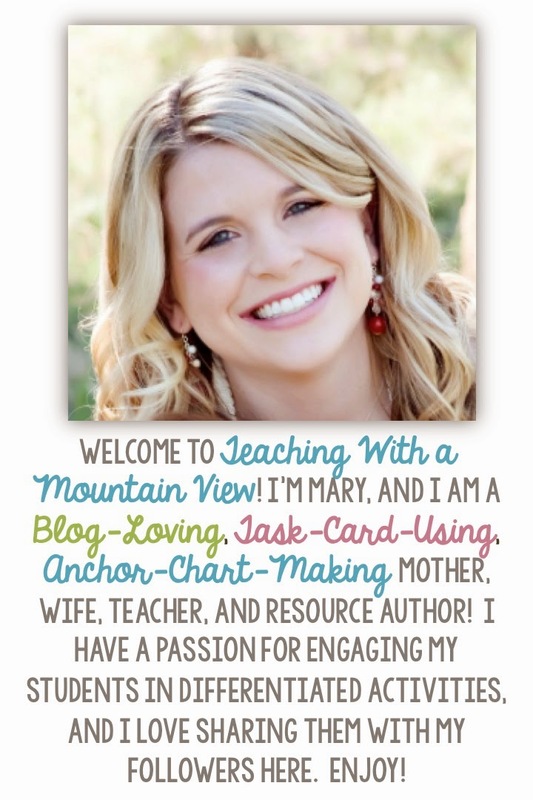 I hope that you can implement some of these ideas into your classroom tomorrow, and maybe you will implement some at the beginning of next year. Be sure to check out the links below for more blog posts on fluency! This is terrific. Thank you so much for posting these all in one place! 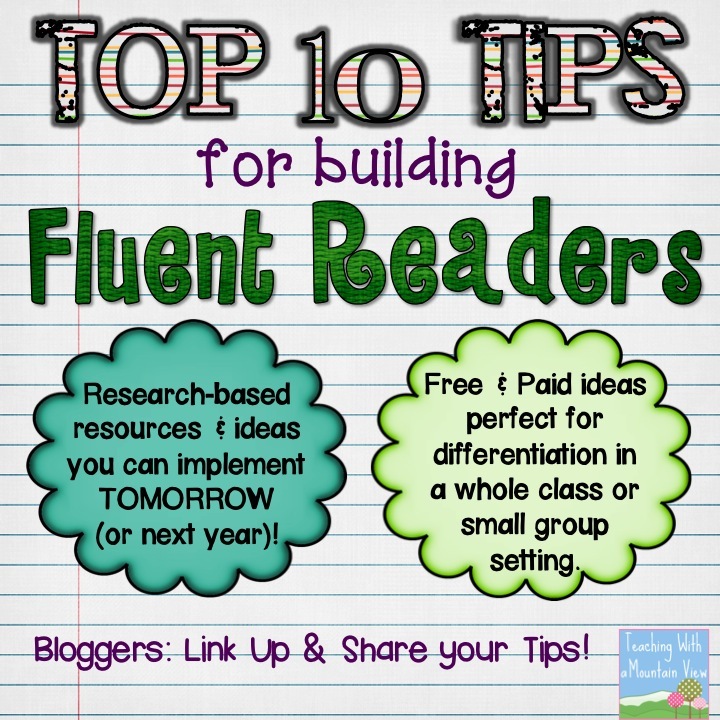 Just found this post - great ideas and link-up! This is perfect. I am 5th and can see the benifit. Question so many great ideas and our district shift to commin core which one do you think I should start with? I can see me trying all, becoming overwhelmed in implementation and abandoning. Wizard101 offers player Wizard games set in the magical Wizard school, Ravenwood Academy. Players of all ages set off on fun quests to save Wizard City from evil forces, and collect magic cards to duel their enemies in the game worlds. Hi, you explained the topic very well. 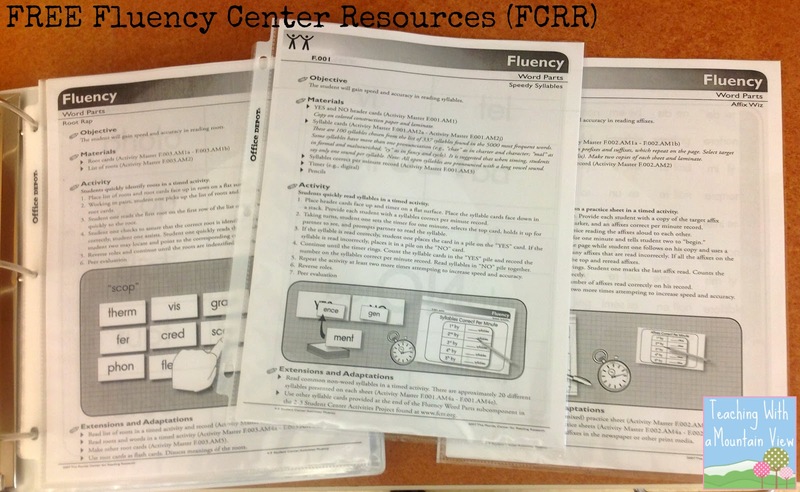 Is working on fluency appropriate for 6th graders? offers player Wizard games set in the magical Wizard school, Ravenwood Academy. Players of all ages set off on fun quests to save Wizard City from evil forces, and collect magic cards to duel their enemies in the game worlds. The super speed 1000 link isn't working correctly. Is it possible for you to share the word list? Thank you so much for your post!! I taught Reading for 16 years. 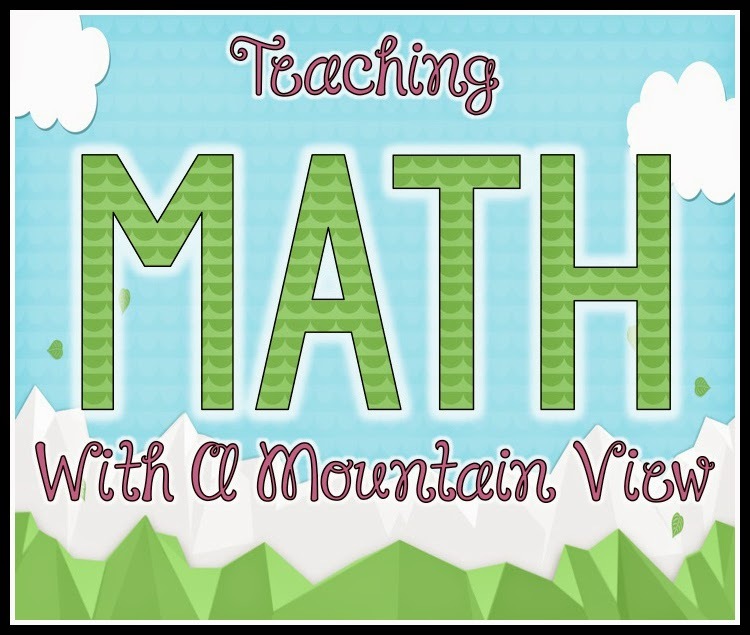 Now I teach math to 2nd graders. I have noticed the last 3 years how the kids seem to be struggling more and more with reading. Therefore it makes it harder for them in math. 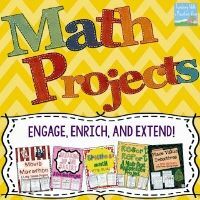 I will be incorporating some of these strategies into my math/science class starting this year! !